Made of cast aluminum, the Edgewood™ Large is an elegant way to display a home address. These low-voltage fixtures come in 5 finish options. Black vinyl numbers are included. 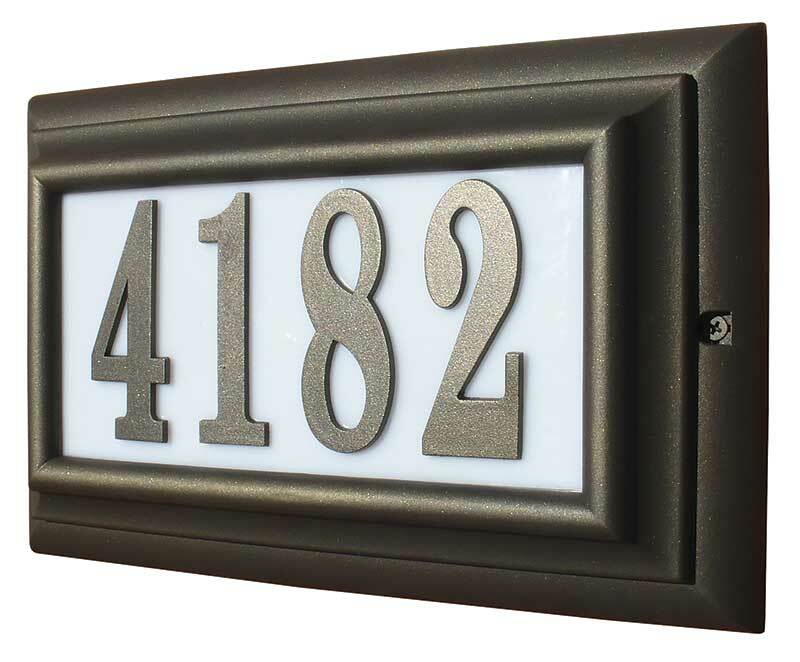 Raised cast aluminum numbers that match the frame finish are available as an optional upgrade. Visible at over 100 feet away, the Edgewood™ Large provides fast and accurate address identification for guests, deliveries, and emergency vehicles. Patented design. A note about metal casting: Cast aluminum products are first poured in a sand mould that does not allow perfection in every detail. But that's the appeal of such castings. These "accidentals of art" lend an Old World charm to each piece that no artist could fashion intentionally. In effect, each one is a unique creation. Visible at over 100 feet away, day or night. Optional LED backlight is brighter and will last for years. Optional matching raised cast aluminum numbers. 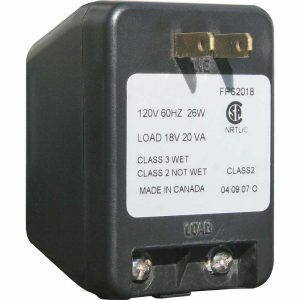 Low voltage, inexpensive to run. Easy to install, attaches to existing doorbell system. 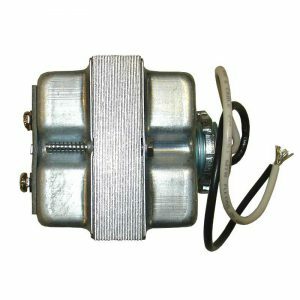 Dimensions: 13-3/4" x 8-7/8" x 2-1/2"